VistaPro Pools & Spas specializes in installing in-ground swimming pools that include lots of great features like water slides. An in-ground pool can be a lot of fun, but do you know what would make it even more fun? A pool slide! We can help you design the pool of your dreams and show you how to work a pool water slide or other in-ground pool features into the mix. 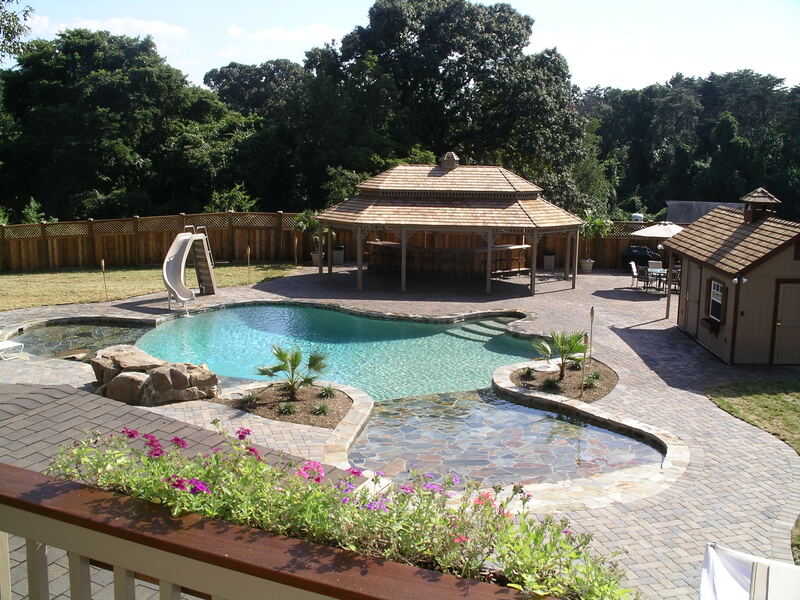 You will love everything about your new in-ground pool in Maryland when we are finished, and you will wonder why you didn’t have one installed much sooner. There are some things that you will need to keep in mind when adding an in-ground pool slide to your pool. For starters, you will need to find the ideal location for your in-ground pool water slide. You will also need to make sure your slide matches up with the overall design of your new in-ground pool and the patio that surrounds it. 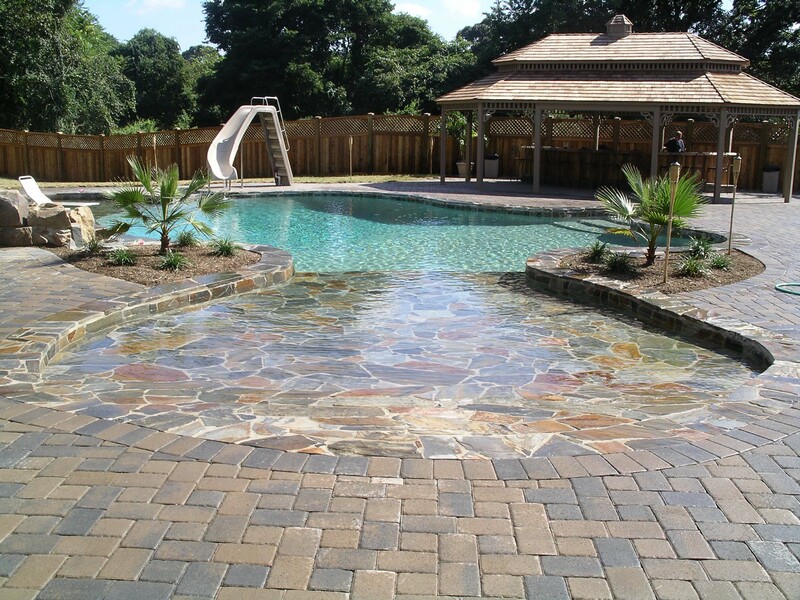 And, of course, your slide should match all of your other in-ground pool features to give your pool area one cohesive look. When you work with VistaPro Pools & Spas to install a slide, a diving board, a waterfall and more features at your home in Maryland, you won’t ever want to leave your pool. Would you like some help putting an in-ground pool in? Or would you like to hear more about the many in-ground pool features that are available for your in-ground pool in Maryland? To get started, call VistaPro Pools & Spas at 301-805-0119 today. There is no limit to what you can do with your new pool when you call on VistaPro Pools & Spas. 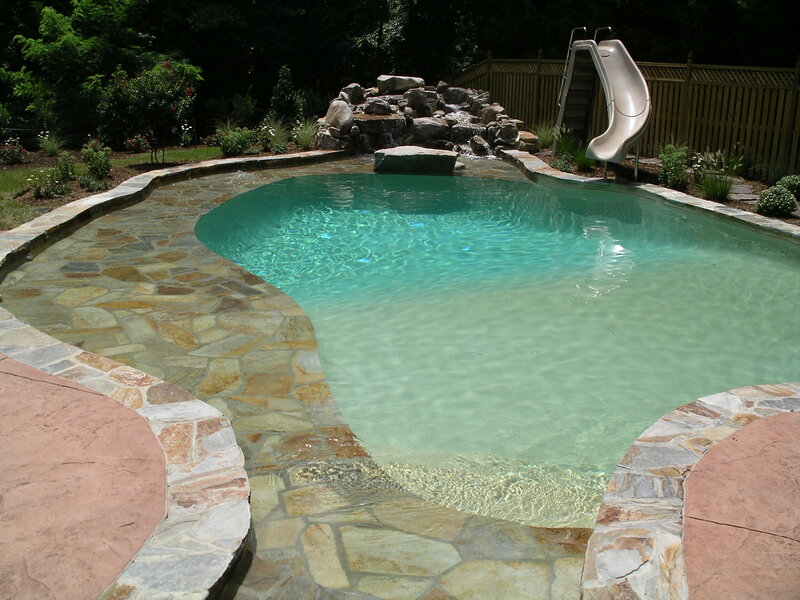 We would love to put in a pool for you, add an in-ground pool water slide, and tackle all of your other pool needs. We promise that you will love it when we are all done.